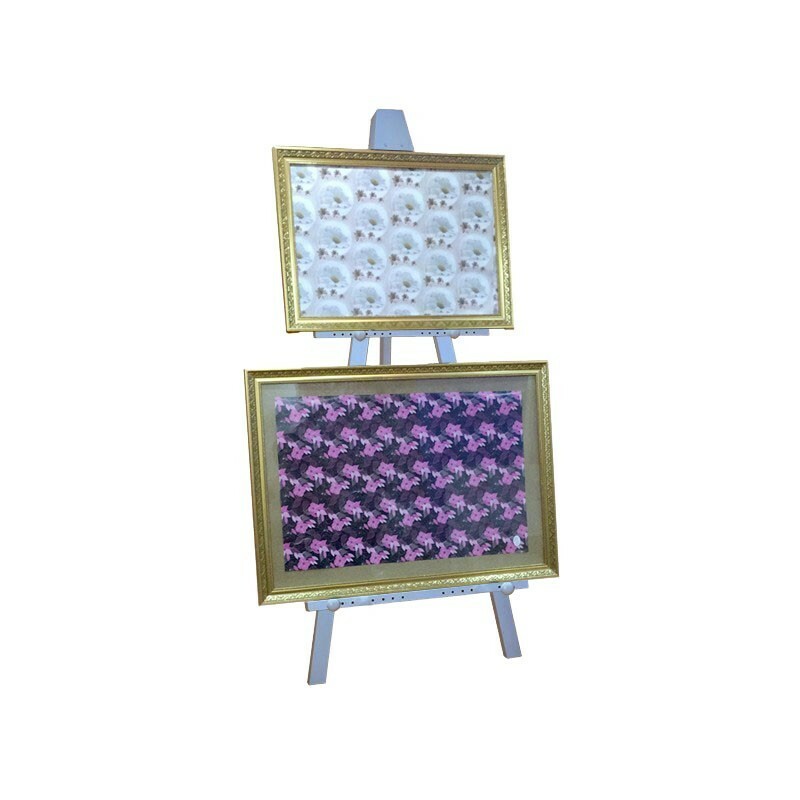 Heavy duty double display easel in all colours with safety legs lock (Stop legs from collapsing). To Hire this easel from £20 please call. Heavy Duty Double Display Easel can take up to 40 KG picture. 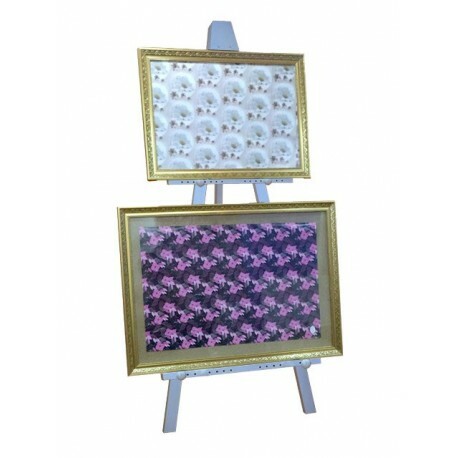 With fully adjustable front bar which makes easel suitable for small large and big pictures. Suitable For A1, A2, A3, A4 up to 5X5 Feet picture with a stiff backing. Available in White, Brown, Black, Silver and in custom made colours. Fast delivery. Same Day Delivery within UK at extra cost.